Getting your child his first big kid bike is a rite of passage. Children feel so free as they zoom along on their own two wheels. A bicycle is a fun way to get your child exercising but it is so much more than that. A bicycle can give a child courage and strength. A bicycle may help your child make friends by allowing him to explore your neighborhood. A bicycle fosters creativity and imagination. Your child can pretend he is a BMX racer, tied for first on the last turn of the championship race. He can imagine he is a police officer in hot pursuit of the FBI's most wanted man! The possibilities are endless. However, if you want your child to love riding his bike, you have to work on building confidence on two wheels. 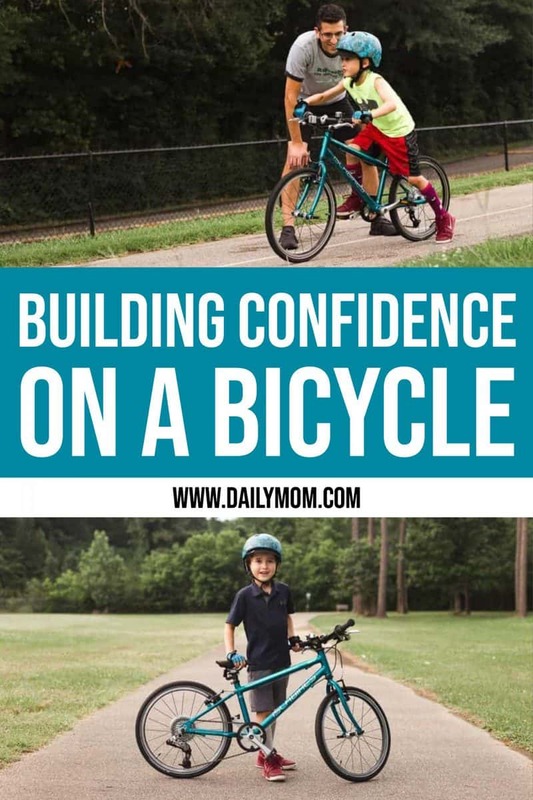 Here are five tips for building confidence on a bicycle! Not all bikes are created equal. Do not just buy whatever bicycle features the cartoon character your child loves the most when shopping. Size matters. Components matter. Your child needs a bike that fits him properly, is not too heavy and has parts that function safely. 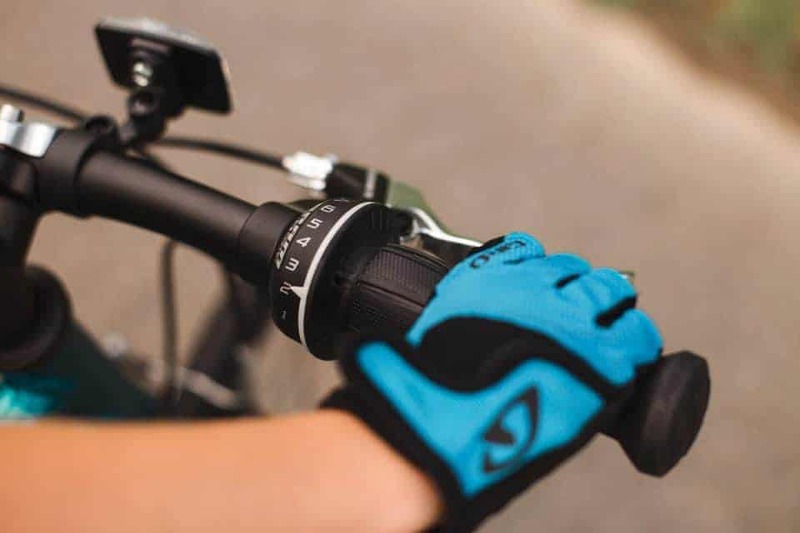 The first factor in building confidence on two wheels is feeling safe and safety starts with good equipment. We highly recommend the children's bicycles from Islabikes. They have your kids covered from balance bike up until they are teens. Islabikes is passionate about children being able to ride their bikes in safety, with confidence. 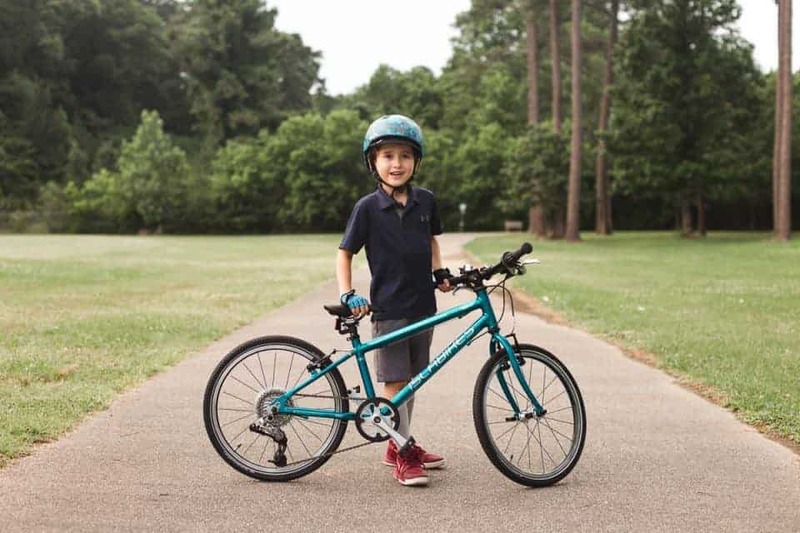 All of their bikes are constructed with very lightweight aluminum frames making them easy for children to balance and handle. The components are made for children. Islabikes are carefully designed to be perfectly proportioned for kids and this is amazing for building confidence. Shown here is the Beinn 20 Large. This bike is designed for children ages 6 and up who have minimum inseam of 20 ½ inches and height of 47 inches. Measure your child to make sure you get the right size. Here is the Size Guide for Islabikes. The child riding here is just above the minimum measurements for the Beinn 20 Large, so he can safely ride it now and has room to grow into it. Islabikes are so well built that this bike will be able to be passed down to another child. 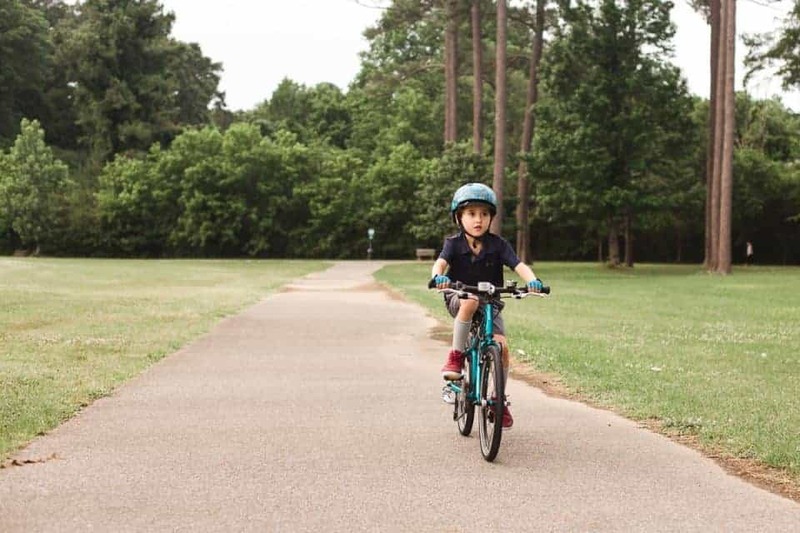 You are making an investment in your child’s confidence and safety and can trust that the bike will last through multiple children. That is well worth the investment! The Beinn 20 Large come with a bell. What kid doesn’t love a bicycle bell? 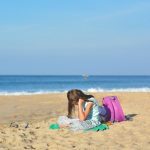 They are fun and safe, as your child can ring the bell to let someone else on their path know that they are approaching. The tires are lightweight and in case you need another one, a spare is included. This model does include hand breaks but they are designed with short-reach levers making them easy and quick to operate with little hands. There are three colors to choose from and we love this gender neutral teal color that brothers and sisters can share. 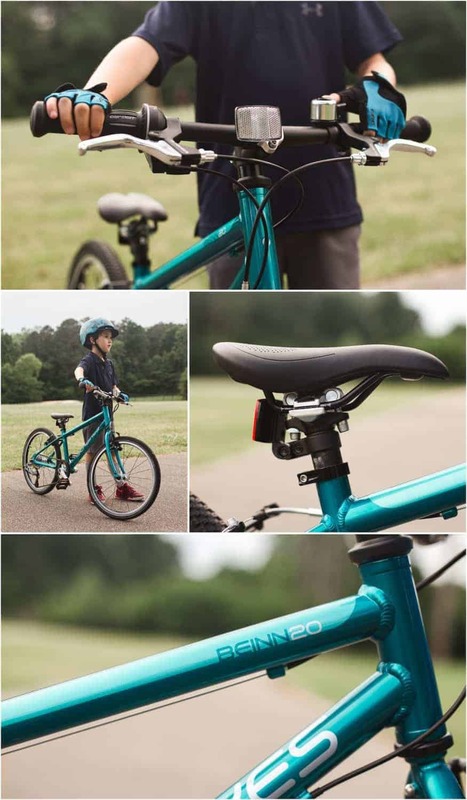 Here you can see the Beinn 20 large in action with bicycle loving kid Elliott! Think of your child’s bicycle as the machine that it is. As with any machine, the user needs to understand how the parts work to make it function. Don’t just sit your child on a new bike and say “good luck!” Go over all the parts of the bicycle. This is crucial for building confidence. Explain what the parts do. Show him how to grip the handlebars. Talk through using the brakes and pedals. Adjust the seat until it is just right for his height and comfort. Before that first ride check all the parts together so he knows everything is working. This will build his confidence in his bicycle. He knows what he has underneath him and he knows it is all in working order. It turns out that the classic way of teaching kids to ride bikes is not the most effective or safe way. Training wheels do not help with building confidence. They are a crutch that can actually cause more fear and slow the entire process down. 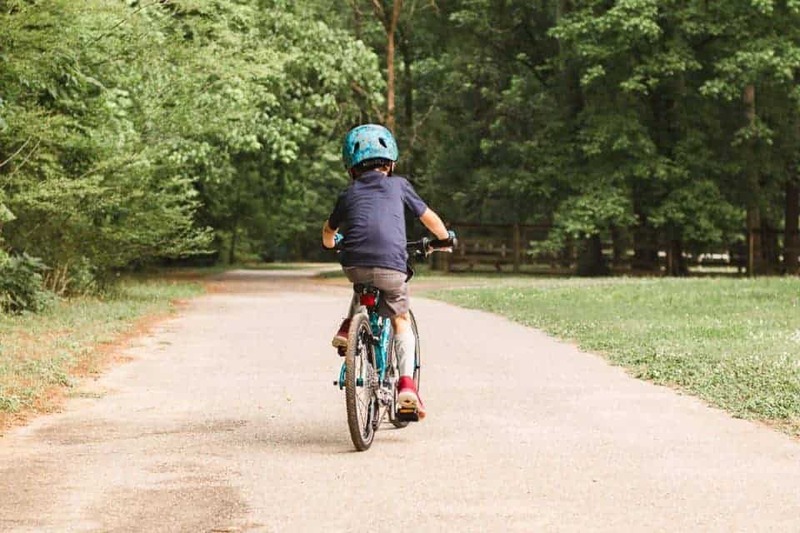 The best way to teach a child to ride a bike confidently is to skip the training wheels and tricycles altogether and start with a balance bike. Learning to balance on a bike is the most important and most challenging step. If your child can learn to glide on a balance bike, he will take to pedaling very quickly once he is ready. The child shown here was able to transition from a balance bike to pedaling on a two wheeler from Islabikes in one day. If you already have an older child using training wheels, it is not too late to get the advantage of a balance bike. Simply take the pedals and training wheels off your child’s bike and let him learn to glide on that. Once he is balancing and gliding well, put the pedals back on and he will be racing around the park in no time. Knowing he has the strength and coordination to balance himself on a bike is one of the best ways to be confident in this activity. 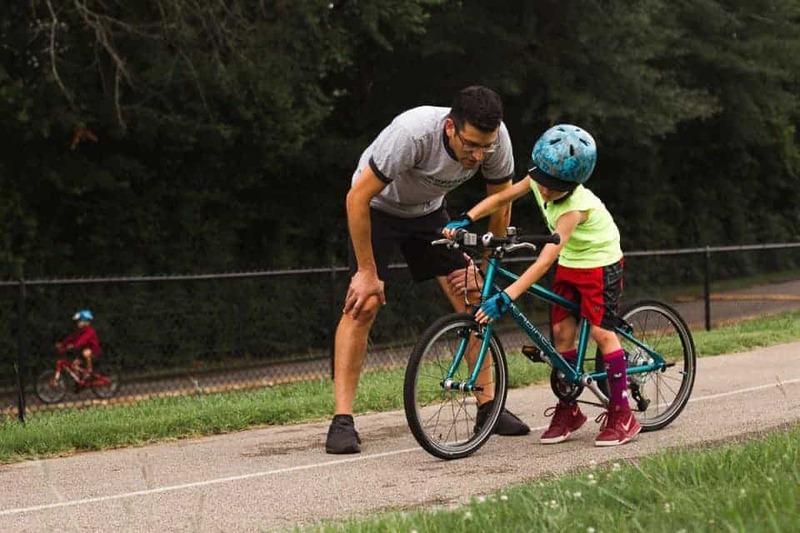 Your child will learn and feel so much more confident if you use positive reinforcement instead of negative correction when learning to ride a bike. Never scold him for making a mistake. Catch him doing well. Instead of saying “quit looking the wrong direction! 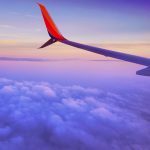 You are going to crash!” say “Great job looking where you are steering” when he is doing that correctly. If you do need to stop and correct for a safety issue, do so when the child is stationary and still be encouraging. 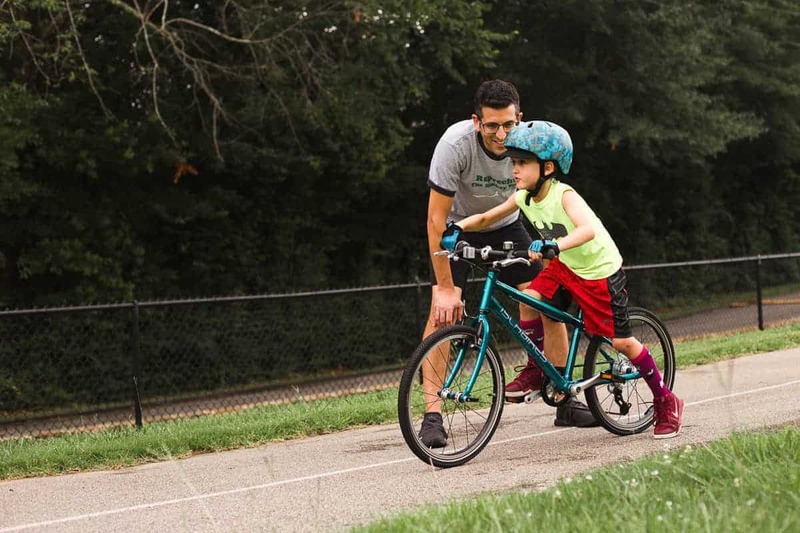 Try something like “I know that you want to check to see where Dad is behind you but the best way to stay safe on your bike is to look in the direction you are headed. Let’s try that again! You are doing great!” Words can make or break how a child feels about himself and his bicycling abilities. 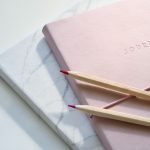 Focus on building confidence, don’t break down confidence by being impatient or negative. Never force your child to ride his bike when he does feel unsure or if he gets tired. The minute things take a turn for the negative, you have lost an opportunity for building confidence. Be creative in how you get your child to practice bicycle riding skills. 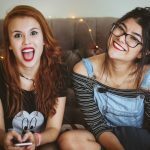 Make up fun games. 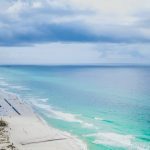 One simple way to practice stopping and going is to play a game of “Red Light, Green Light.” When you say “Red Light” your child stops and when you say “Green Light!” he goes again. Grab a pack of small orange cones from a sports store and set up a little obstacle course. He can work on his steering skills by weaving between cones. If mom or dad are also riding a bike, try playing "Follow the Leader" and have him follow along. "Follow The Leader" is a great way to learn how to ride on a bike path with other riders and walkers to steer around. 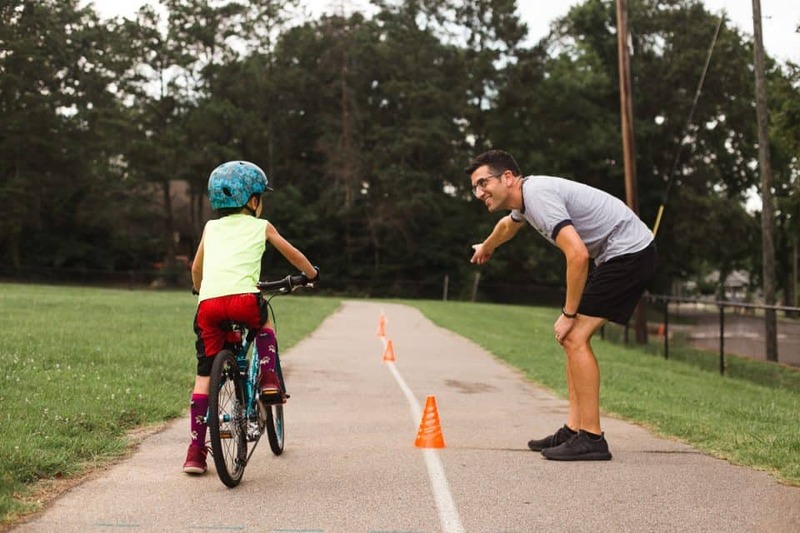 Come up with fun ways to strengthen his bicycle skills without making it seem like he is being coached or lectured. 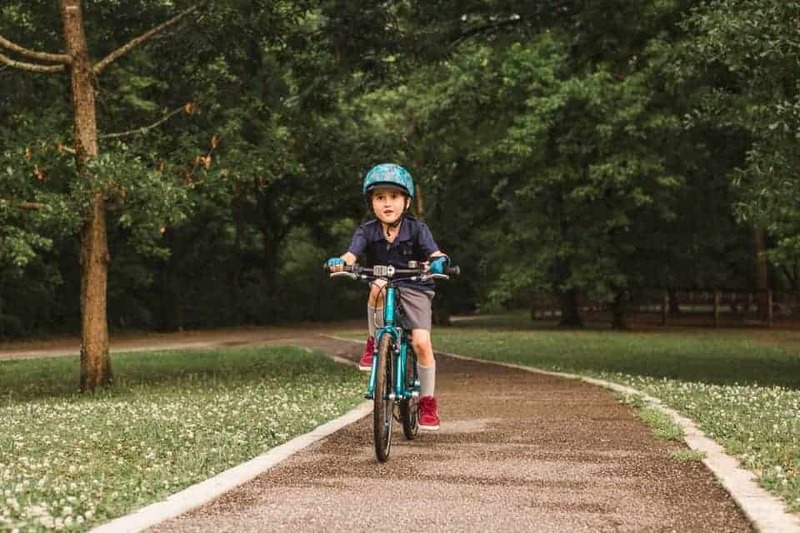 With the right bicycle, the right start, some helpful encouragement and creativity, your child will be building confidence on two wheels faster than you imagined. Confident bicycle riders have fun while still making wise choices and this prevents injuries and accidents in the long run. Be sure you have a quality helmet that fits properly and always wear clothing and shoes that will not interfere with proper bike riding. Once your child is cruising along on his bicycle, you can join in on your own bicycle and make it a family activity. You have given your child freedom, adventure, and wellness in the form of a bicycle. 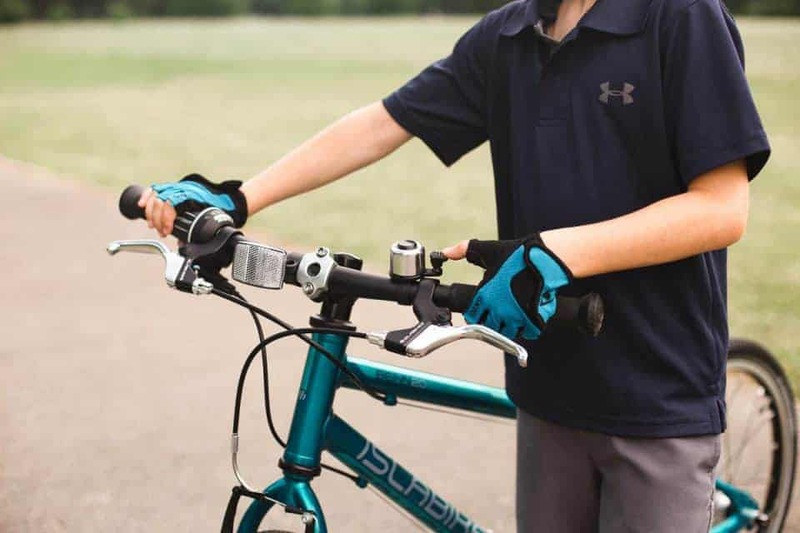 Make sure he is excited about this gift by fostering confidence on two wheels! 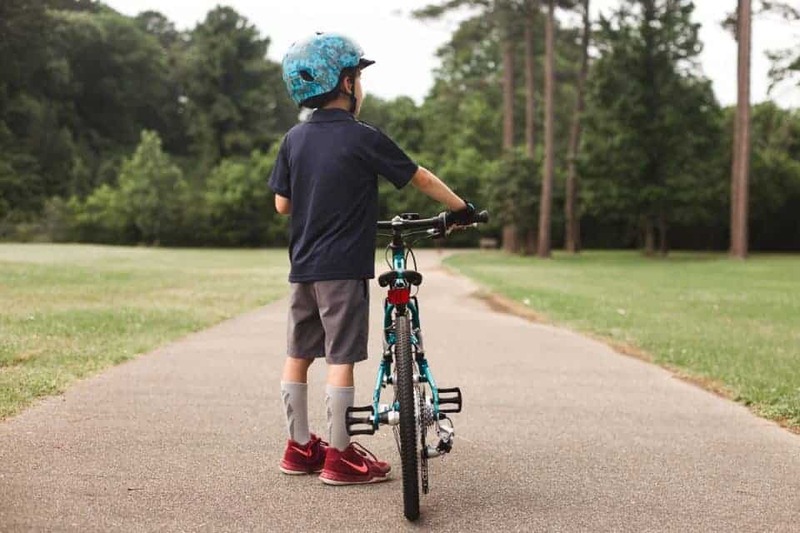 Be sure to get your kiddo in some good shoes for all his bicycling adventures. 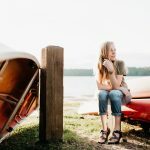 Learn Why Your Child Needs Supportive Shoes.